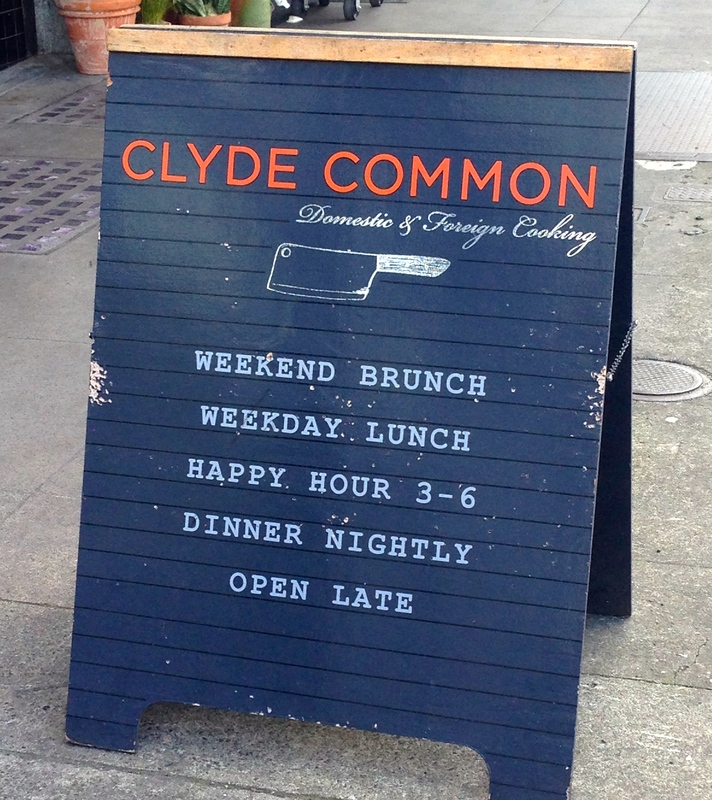 Clyde Common, Portland, OR – eating my way through Charm City! 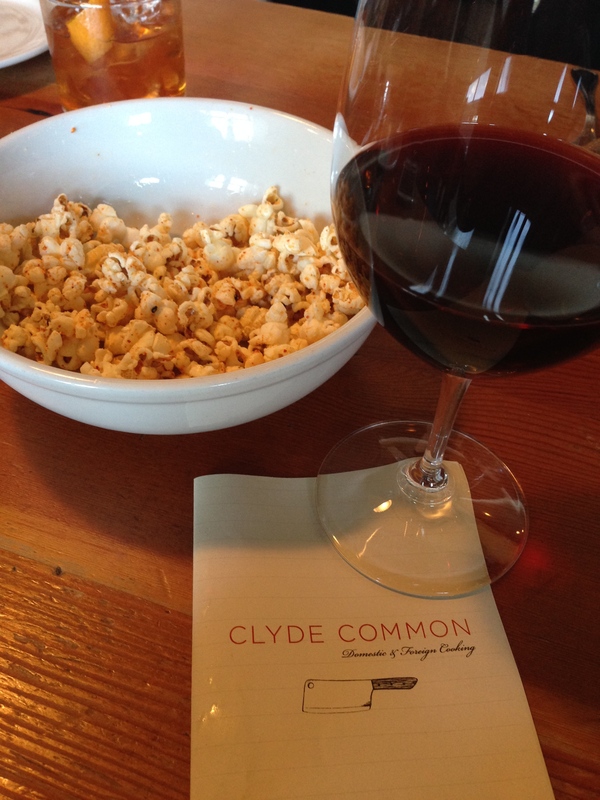 After a morning of doing very west coast portlandy things – like bikram yoga, coffee, farmers market, bookstore – we stopped in for happy hour and snackies. Brandon couldn’t have been sweeter to our group of 6, especially since we walked in without a reservation. Their happy hour is busy, lots of hustle and bustle in this open format kitchen. They also have communal tables. This was fun as we sat for forever and enjoy the changes. And, in true Abby fashion, we actually ordered just about one of everything – starting and ending our 4 hour stay with the togarashi and honey popcorn – a magic concoction of sweet and savory. The group started with cocktails; they were strong – not our favorite and we quickly switched to the happy hour wine. The red was a mild, very balanced Spanish wine in the style of Pinot Noir. The white was a little bit sparkly and in the style of a vino verde. This here, this cast-iron skillet of cornbready goodness. 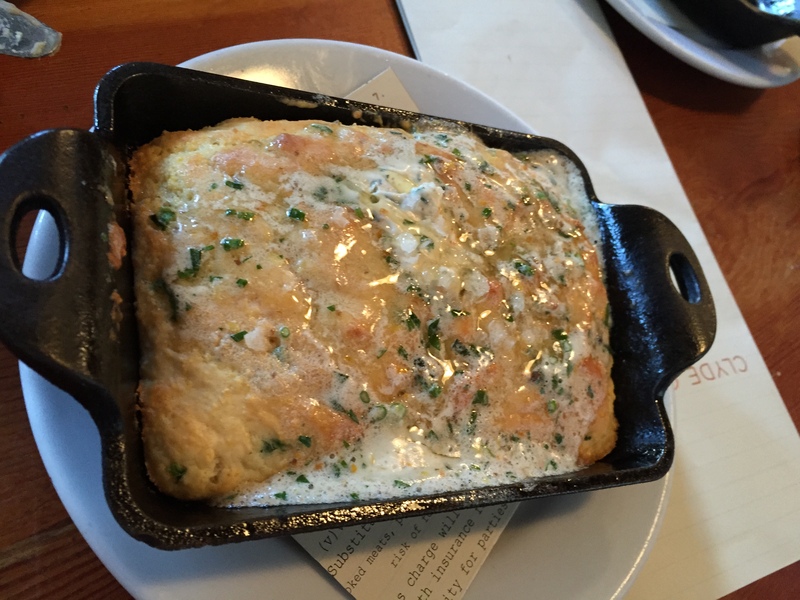 Can you think of a way to make cornbread in a skillet taste better? These guys did; they smothered it in smoked bone-marrow butter and a little chives. 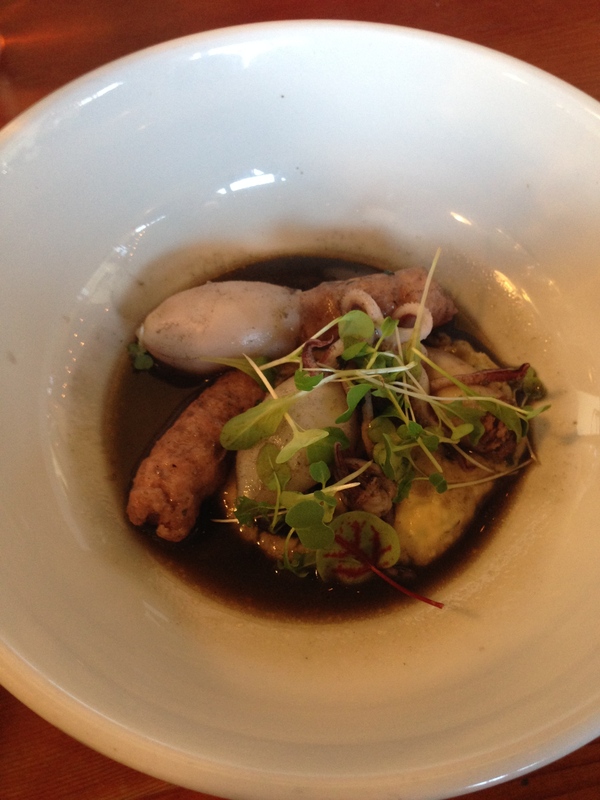 The marrow flavor was mild, but created a richness that made for an intense and long-lasting bite. 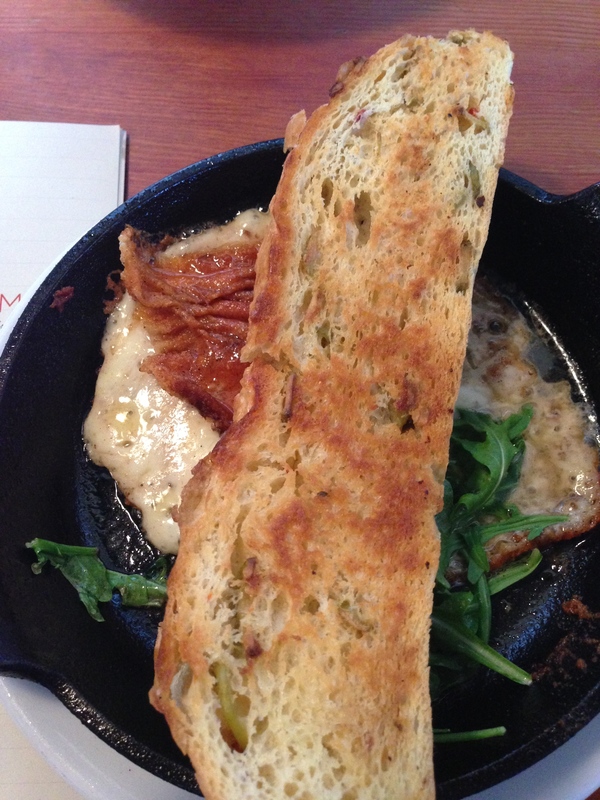 We also loved the saganaki: look at these adorable cast iron skillets. Plus, who doesn’t love cheese that has been melted until it has a bubbly crust. They topped with some greens and a slice of toasted olive bread. Once again, these chefs are sneaking olives into things and I am learning to like them. This entry was posted in Detour, Drinks, Happy Hour, Hooray!!! Winner!. Bookmark the permalink.